Clients who attend the ProMotion Prosthetics facility can expect a unique service, where one on one attention is given. Time is taken to discuss the individual needs of each client, as well as coordinating services from Epworth Rehab Hawthorn. The ProMotion Prosthetics team work closely with Epworth Hawthorn’s multidisciplinary team to achieve excellent functional results and maximise the client’s prosthetic potential. The ongoing relationship clients develop with our team is the result of open, honest communication and focusing on ProMotion’s main goal, to provide clinically appropriate treatment for each individual, so they can achieve the functional mobility and goals they have set. Individual prosthetic treatment is tailored to obtain the highest level of functional independence for all levels of amputation and limb loss. Our facility is fully equipped with modern clinical equipment including video gait analysis. As the client, you are encouraged to make yourself at home in the lounge room, with access to the kitchen, TV/DVD, and internet while work is being carried out in our on-site workshop. ProMotion Prosthetics is the Accredited Prosthetic provider of Inpatient and Outpatient services at Epworth Rehabilitation, under the Amputee Rehabilitation Program. Together we work with Dr Hale (Rehab Consultant) and the multidisciplinary team to service each client’s needs. ProMotion Clinicians hold professional development in high regard, and are constantly working to improve on knowledge and techniques. A mutual agreement between client and Prosthetist will be established prior to commencement of each episode of care. The clinician will establish all relevant information prior to submitting the Prosthetic request to the Funding Agency and discuss this with the client. 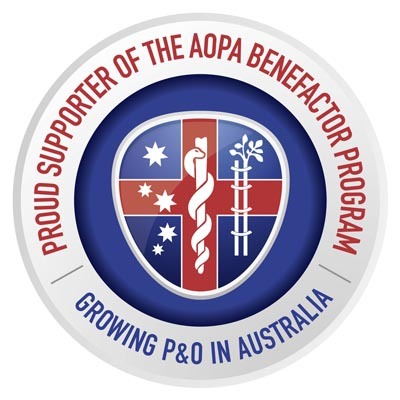 The A.S.A.P is a surgical and rehab program that involves surgeons and medical practitioners from the Alfred Health, therapists from Epworth Rehab Hawthorn, the Rehabilitation Consultation from Epworth Health and ProMotion Prosthetics. The program treats upper and lower limb amputees; including Osseointegration (O.P.R.A), Targeted Muscle Reinnervation (TMR) and soft tissue reconstruction. TMR is a surgical procedure to allow intuitive control for upper limb myo-electric prosthetic users, https://www.alfredhealth.org.au/news/the-alfred-pioneers-thought-controlled-prosthesis. TMR surgery has also seen some significant results in reducing pain, and is used for both upper and lower limb amputees to manage significant pain. ProMotion Prosthetics holds in high esteem the national peak professional body regulating the orthotic/prosthetic profession in Australia. ProMotion Prosthetics is a part of the Corporate Partnership Program. ProMotion Prosthetics possesses current Professional Indemnity and Public Liability Insurance. All clinicians are trained and are responsible for the Prosthetic manufacture, which is carried out in our on-site workshop.